WordPress has become an Internet phenomenon starting as a very good open source (free) blogging platform and slowing forming into a fully fledged content management system (CMS) that can run almost any type of website from simple blogs to fully fledged eccomerce solutions. 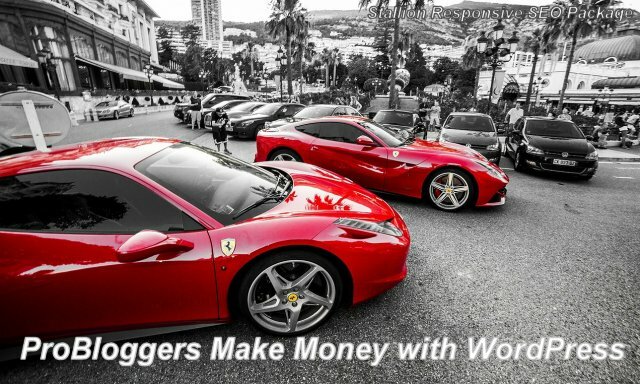 Making money through blogging has never been easier. The latest data show 22 out of every 100 new active domains in the US are running WordPress! That’s a LOT of people just like you who have realized WordPress is a brilliant web authoring tool, makes generating a blog or almost any type of website easy, so easy even your Gran can use it and WordPress is free. WordPress is so easy to use it’s become the platform of choice for making money online by blogging, many of the top Internet marketers: probloggers, some make millions of dollars a year online use WordPress for their main websites. That list of bloggers making money via WordPress blogs include me, the website you are reading now is a WordPress blog, note the AdSense ads on the left sidebar, footer area and floating above in the main content, that’s one of the ways I’ve used WordPress to monetize my network of WordPress blogs. With WordPress you create the content which is as easy as typing an email or a message on Facebook while WordPress manages everything else behind the scenes cutting out many of the hard steps in making a website. From adding text content, video content, images it’s all just a few mouse clicks away, no creating hard to understand HTML templates with tools like Dreamweaver: search Google for “How to Create a Website with Dreamweaver CS3” and check a few of the make a website tutorials and wonder why it used to be hard to create a great looking website!!! Do a similar Google search for WordPress: “How to Create a Website with WordPress” and read a few WordPress tutorials and you’ll see the steps are so much easier. I couldn’t imagine being new to building websites and trying to not only create a great looking website with a software tool like Dreamweaver AND try to monetize the website with AdSense or another advertising program! The #1 way to get free traffic online is of course from the search engine Google and this is where WordPress fails on some very important Search Engine Optimization (SEO) points. WordPress out the box is NOT a fully fledged WordPress SEO CMS, it’s OK SEO wise (better than almost every other ways to create a website), but we don’t want SEO OK, we want SEO AWESOME and that’s where the Stallion Responsive WordPress SEO Package takes your WordPress blogging to the next level in both SEO and monetization (not much point owning a blog if it doesn’t make you any money). The Stallion Responsive SEO package includes the best WordPress SEO theme online, multiple SEO plugins built in (no need for WP SEO plugins like Yoast WordPress SEO or All In One SEO Pack) and the SEO package includes no less than four advertising programs (AdSense, Chitika, Kontera and Infolinks plus an easy to use custom ad system) built in to easily monetize all the Google traffic your website will generate. Stallion Responsive isn’t just a WordPress SEO Theme or WordPress SEO Plugin, it’s a FULL WordPress SEO Package, click the Buy Now button to purchase Stallion Responsive via clickbank. The Stallion Responsive SEO Package is the culmination of 10 years of search engine optimization experience. Stallion was NOT developed by a web designer, it’s developed by a Search Engine Optimization Consultant (SEO consultant) that has worked with businesses on search engine optimization projects for over a decade. The website you are on now runs under the Stallion Responsive WordPress SEO Package and relies completely on free search engine traffic (I never buy traffic: you almost certainly found your way here via a Google search). Registered the domain a couple of years ago, but didn’t use it until this year (2014: started work for real early February 2014). It’s June 2014 as I write this, so this website has been running the Stallion Responsive SEO Package for under 6 months. Takes time to create new content for a website, also takes time for Google to trust a new website: through SEO experimentation I’ve found it takes around 9 months to one year for Google to trust a new website. There isn’t anything you can do to force Google to trust a domain faster, Google analyses a websites backlinks and their quality and basically gives it a Google trust factor. Higher the quality and number of your backlinks and how long those backlinks have been live, more Google trusts your website and higher it ranks your content. This means even if you have a new website filled with search engine optimized articles that act as awesome link bait and it generates lots of high quality backlinks, Google still won’t trust your domain until those high quality backlinks have aged 9+ months (assume a year for full SEO benefit). Understanding the above explains why it takes so long for new websites to rank high in Google. This doesn’t mean one year from starting a new website it’s going to rank for competitive SERPs, if your content isn’t search engine optimized (the Stallion SEO package helps with this) and you’ve not built high quality backlinks (that have aged 9+ months) Google still won’t trust your domain and won’t have search engine optimized content to actually rank. This does not mean your new website can’t generate free traffic from Google in the first year, it just won’t be from the hardest, most competitive Google search phrases. My website at 6 months old doesn’t stand a chance of ranking high for a competitive Search Engine Results Pages (SERPs) like SEO, WordPress or Money. At this stage of website development it can rank for long tail keyword SERPs (long tail means multiple keywords) and some semi-competitive SERPs (difficult, but not impossible) and Stallion Responsive presents my content in the best SEO way possible to Google. As Google trusts my domain more, the optimized content presented by Stallion Responsive will rank higher. The Google Analytics screenshot below shows the previous 6 months traffic for this website. As you can see in January 2014 this domain received no traffic (had no content and no backlinks). In February 2014 I started to add content to WordPress, over the past 6 months this websites gone from no content to around 200 WordPress posts. 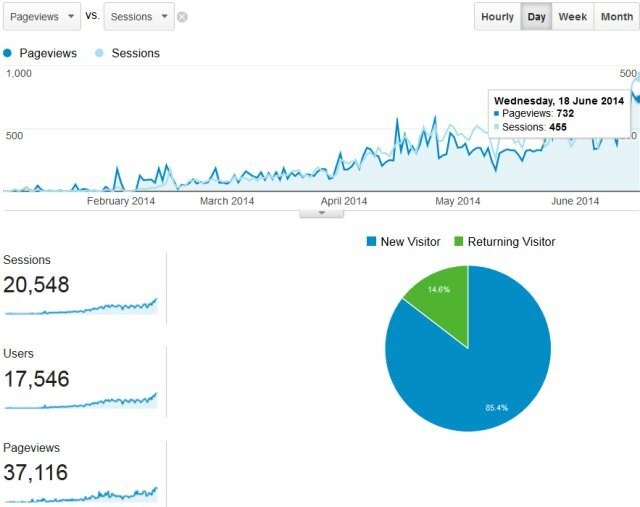 June 18th was the best day with closing on 500 visitors a day: if that level of free Google traffic is stable it’s over 150,000 visitors a year for free. I expect this to increase significantly over the next 12 months as backlinks age and Google trusts this domain. An important Google search for this website is “WordPress SEO”, it’s competitive and requires a trusted domain with a decent number of high quality backlinks. Current WordPress SEO rank 41 for the WordPress SEO Tutorial article on June 19th 2014. I might not get in the top 10 for the WordPress SEO SERP in the first 12 months, will track the SERP and traffic overall for the next 12 months and post it here to show how this website performs under the Stallion Responsive SEO Package. Why not join my journey to making more money online and buy the Stallion Responsive SEO Package for your WordPress blogs. Hi I want to continue my hobby of writing, so I wanna venture with web blog or the so called bogging. I have few entries using my domain name and hosted through blogger. Right now, I am about to finish reading a book concerning web site designing. I don’t know how to design, I just want to make a blogging site and I am ready to purchase a hosting account. But my aim is simply to earn from blogging thru ad sense for I was recently approved by Google. I want also to earn thru advertising, if there are companies who want to advertise in my blog site. I know how to make it thru ad sense, but I have no idea how I can get clients so that they will advertise in my account. I hope you can give me some idea how to do so. One thing more, since I want to use WordPress as blogging tool, I just want to appear to my homepage my recent post, and the other posts will appear in my menu tab dubbed as blog, how can I do this through WordPress. Of course I will purchase also your SEO Stallion Theme, basically for SEO purposes, so that I can get traffic. As I make a research, your theme is the best nowadays. Rest assured that your immediate response will be highly appreciated. Thank you. What you plan to do is what the Stallion theme is designed for and what I do with my own websites. Stallion is aimed at Internet Marketers, those looking to make money online using WordPress. AdSense is built into Stallion, so that’s covered easily. There’s also the other built in ad networks, Chitika, Clickbank, Infolinks, Kontera and LinkWords. Private ads are also built in, on the right menu of this site you’ll see a set of four Stallion banner ads 125px by 125px wide (popular banner ad size), the ability to add banner ads are built into Stallion. Because I promote Stallion through Clickbank with affiliates who spend their time/money promoting Stallion I have to avoid linking out to private ads etc… because my Clickbank affiliates traffic would be used to make me sales that the Clickbank affiliate doesn’t benefit from (affiliates tend not to appreciate that sort of thing :-)) So to show the banner ads widget I’ve only added Stallion banner ads (4 of them) that link to the sites home page. You could use this widget to advertise private banner ads. Further down the menu there’s a large Stallion banner ad, this was added by another built in Stallion widget. This widget you can add banner ads, text links, almost any code you want, perfect for one off ads. Both widgets above have built in Stallion link cloaking, perfect for advertising affiliate products where you don’t want to waste link benefit/PR on the link. There’s loads of places you can try to sell your ad space on, but you’ll need a site people want to pay money to advertise on and that means either a reasonable PR (minimum PR3 IME) or a fair amount of traffic. Not much point having a site with no PR and no traffic and trying to sell ad space on it, who would buy ads on a site like that? Regarding the WordPress setup you want, WordPress can either show a blog archive (10 most recent posts for example) on the home page or as you see on this site a static page that never changes (unless you update it). You can have your recent posts as a widget (that widget is on most WordPress themes) on a menu. I own ~100 domains, all but this one are hosted on virtual private servers, this site is on a cheap $5 a month Godaddy WordPress hosting account. Thank you very much Mr. David for your immediate reply concerning my queries. When I purchase a hosting account, I will buy also this Stallion Theme for after my week-long reading I found out that this theme is very powerful. I just get back to you and ask you to help me maximize all the features of this Stallion Theme after I purchase. Once again, my gratitude. Keep it up and more power to Stallion Theme. 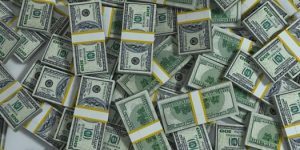 How to Setup a Make Money Online Blog? I am trying to change my appearance and other widget but I could not do it although I refreshed many time. Can you do it for me as your website: Make Money Online Blog? Do you mean this site on How to Make Money Online Blogging (update: moved the sites content here). I don’t setup sites for Stallion theme users, but it’s easy to setup the widgets and makes sense for you to learn how to do it so you can change it later or setup more sites. This AdSense ad needs setting up and the search form needs disabling to activate the Header Ad Widget area. Since you added the Stallion AdSense Google Search Widget set the “AdSense For Search Integration” code, described on the Stallion AdSense Options page at the top. This will put your Tags just above the footer in a big block. This will use most of my basic settings (this uses my AdSense ID etc… but you can change it back after), you then go to each options page and adapt them to your needs. That would give you pretty much the same look as my site.